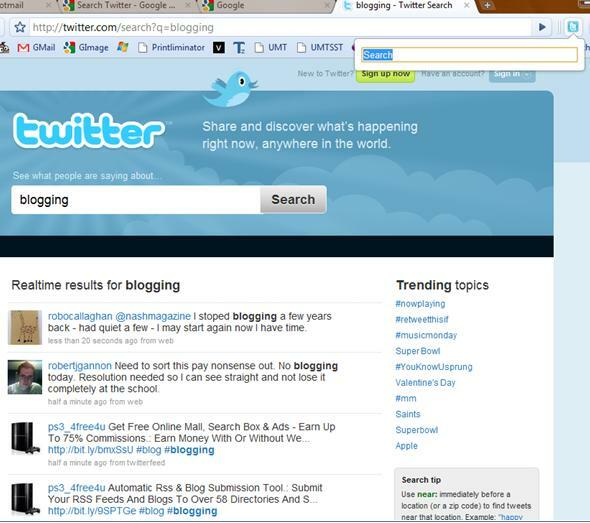 Do you like the combination of Chrome and Twitter? We bet it feels great to be able to quickly Tweet your thoughts in the fast responsive interface of Chrome. For all you Chrome Twitter users, we have gathered 5 wonderful browser extensions that will enhance your Twitter experience on the fastest browser currently available. Below you will find our list. Each of the entries in our list has its forte; check them all out and see which one best suits your Twitter needs. 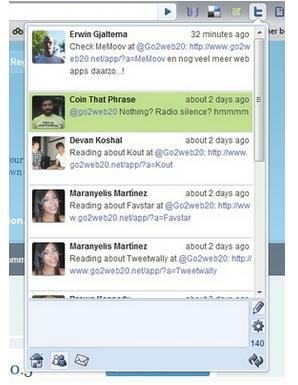 TwitterWatch is great Chrome extension that lets users search for current Tweets according to keywords. The extension forms an icon in the address bar which when clicked presents a drop down window; in this window we can enter our keyword and search for the latest Tweets relevant to our keyword(s). Until we start another search, the search results are stored within this window even if we close it to resume our work in the open browser tab. Its simple user-interface and efficient operation makes TwitterWatch the first entry in our list. If you are on a webpage and want other people’s opinion about it, then one way to do it would be through our extension #1 TwitterWatch. But TwitterReactions cuts back on the time it would take for you to enter the website’s name and see the relevant Tweets; with this extension, all you have to do is click on the icon and be shown Tweeters’ Tweets about that webpage. 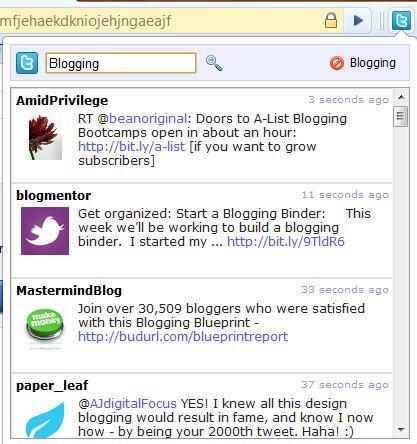 Metrist is an all-in-one Twitter client for Chrome. After installing the extension, user enter their Twitter username and password in the extension’s options. Now whenever Metrist’s icon in the Chrome address bar is clicked, a drop down window shows the latest Twitter messages and the Tweets of people we follow. From the drop down window, we can Tweet as well. From the extension’s options we can set various other preferences such as the font size of text shown and the frequency at which our messages are checked. 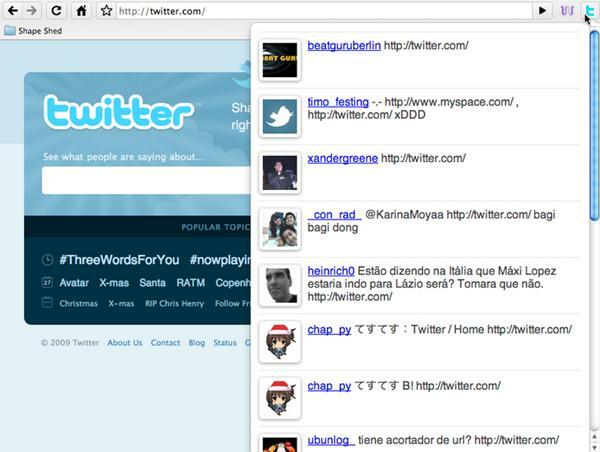 SearchTwitter is a Chrome extension that plays the same role as our first entry, TwitterWatch. We click on the extension’s icon and enter the keyword(s) to search. However while TwitterWatch displays the results in a drop down window, SearchTwitter opens up a new browser tab for the results. The new-tab method of results can be beneficial to users who want multiple Twitter searches to be simultaneously accessible. If you are looking for the most basic Twitter extension that enables you to update your status, then TwitterUpdater is where your search ends. After installing this Chrome extension, you enter your username and password in its options. After doing so, whenever you click on the extension’s icon, a text box appears where you can enter your new status, then click “Tweet!” to update your status. If you simply want to share the webpage you are visiting, then you can enable the extension’s Auto-Tweet option. With this option enabled, whenever you click on the extension’s icon, your status is updated to: “is visiting ”. I specially like search twitter extension.